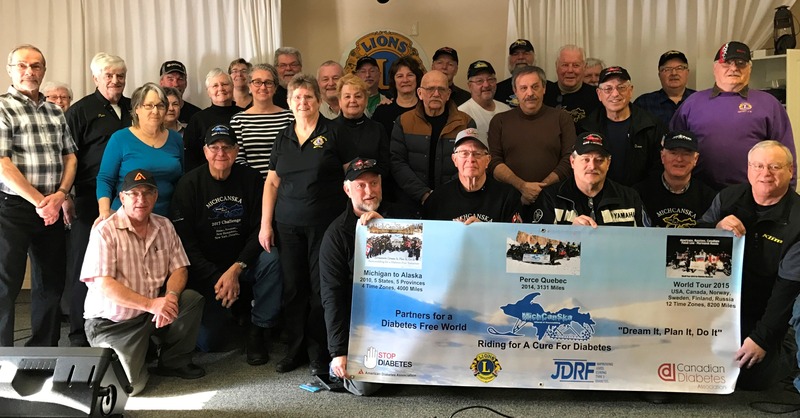 Extreme snowmobile adventures supporting diabetes research. We got blown away by the hospitality and warm reception at the Cornwall Township Lions Club in Cornwall, Ontario, Canada. They cooked up breakfast “better then homemade” for us on Sunday morning (FREE). We unloaded our sleds and rode from their clubhouse to tours of Claude’s Sugar Shack (man cave) and solar power station and St Albert Cheese factory in St-Albert, Ontario. 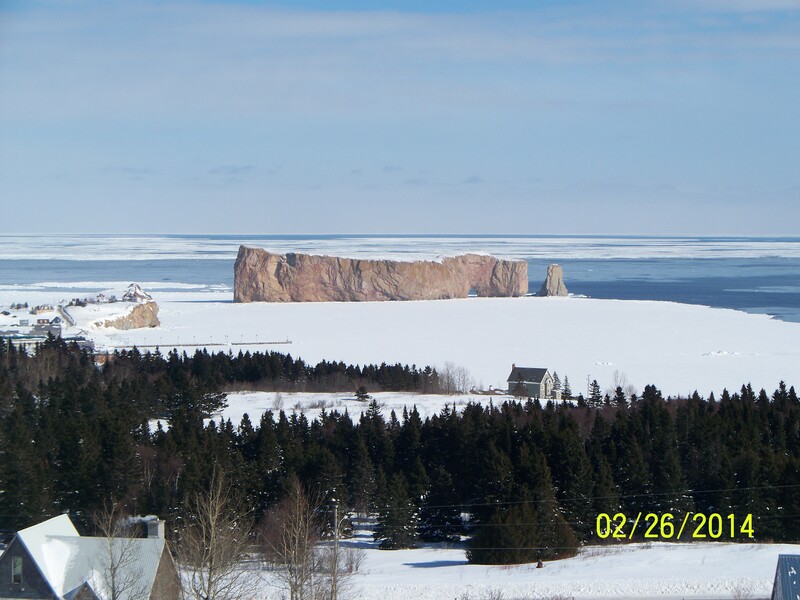 This rock is in the Atlantic Ocean in the town of Perce. We are to the farthest Eastern Point in Quebec. We have had to cross many bridges. On Saturday we had to cross the largest snowmobile bridge in the world. It felt like we were at Cedar Point. Today we had many smaller bridges but most of them were swinging bridges. You have no choice but to cross them because that is the way the trail goes. 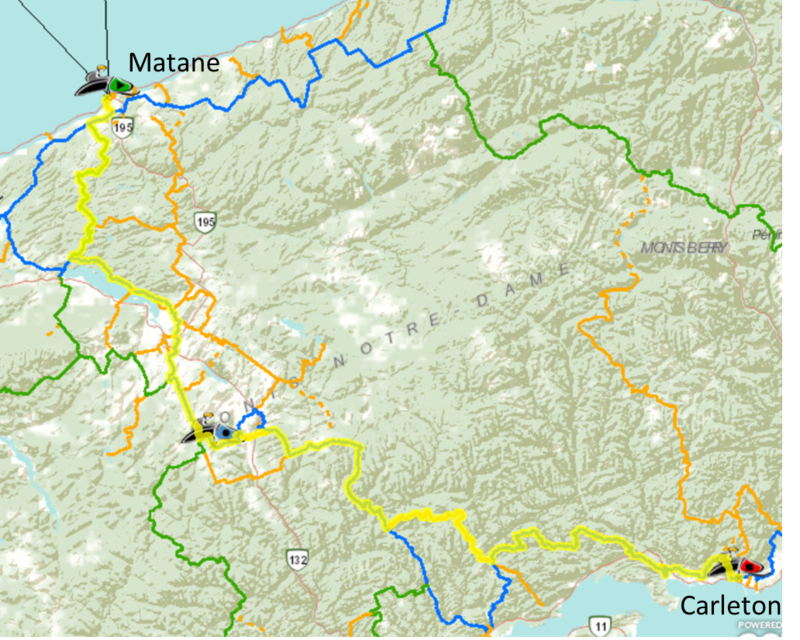 We loaded our sleds onto the Ferry from Baie Comeau, QC to Matane, QC about 35 miles across the St. Lawrence Seaway.